What do Rosie Huntington-Whiteley, Bella Hadid, Kylie Jenner, and Lili Reinhart all have in common? (Well, we mean besides their fame, influence, and striking beauty)? Believe it or not, they all face breakouts and have found solace in the same $17 breakout treatment. The product in question is Mario Badescu's Drying Lotion, a cult-favorite pink liquid that's a mixture of calamine and salicylic acid (along with a few other blemish-diminishing ingredients). Simply take a cotton swab, submerge into the pink liquid that sits at the bottom of the bottle, and dab directly onto a blemish. Leave it on to dry overnight, and wash off in the morning. We can assure you that it shrinks the size of blemishes and calms redness kind of dramatically. Some people even swear it can make blemishes completely vanish overnight. Kylie Jenner certainly agrees with the hype and has been vocal about her love for the product on her app, on Snapchat, and in certain magazines. She's even shown her fans how she applies the mixture, like in the image above. Though Bella Hadid has never been photographed applying the product, she also showed some love for it on her Instagram story a couple weeks back by sharing a picture of all the Mario Badescu products she loves most. Alongside this very drying lotion was Mario Badescu's famous Aloe, Herb and Rosewater Spray ($7), which is set to launch in a lavender-scented version next month. 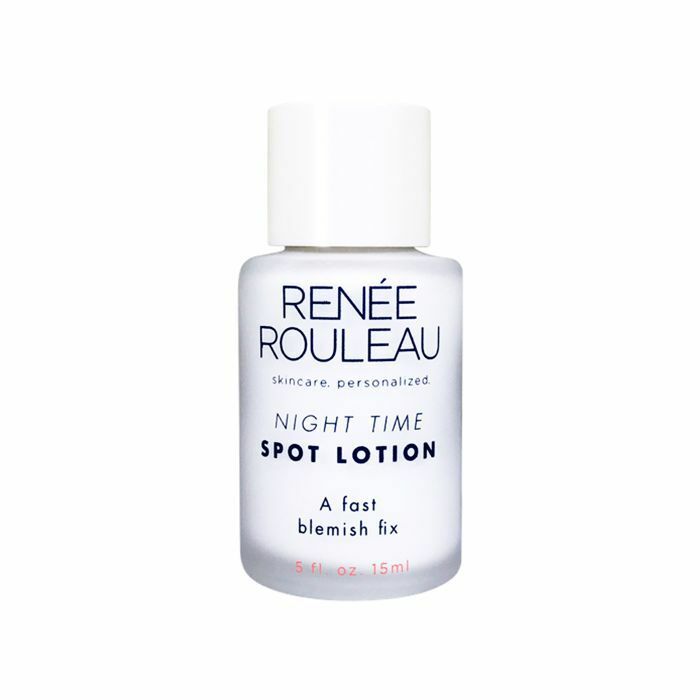 Of the spot treatment, Rosie Huntington-Whiteley told Vogue, "It's truly earned its status as a legend." She's also dedicated a whole feature to the product on her new beauty and wellness site, Rose Inc. The morning after applying a dot of the product to your blemish at night, she explains, "when you rise, there'll hardly remain a red mark by which to remember it by." We love learning about celebs' favorite products and recommendations, but we love their transparency even more. It's nice to see celebrities being so open about their own acne and not hiding it away. After all, it's something we all struggle with to some degree, so why not talk about it and share advice, right? 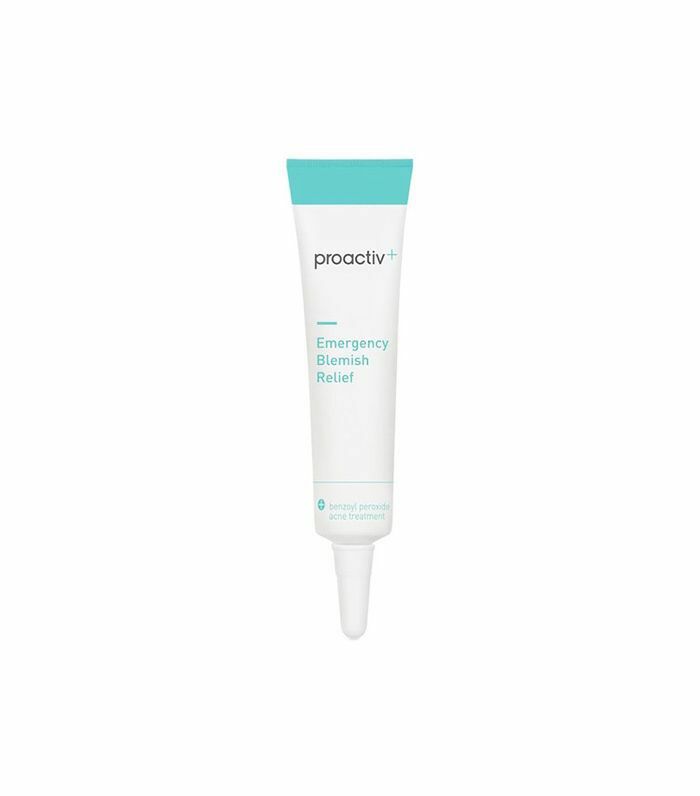 At just $6, this acne spot treatment packs quite the punch. 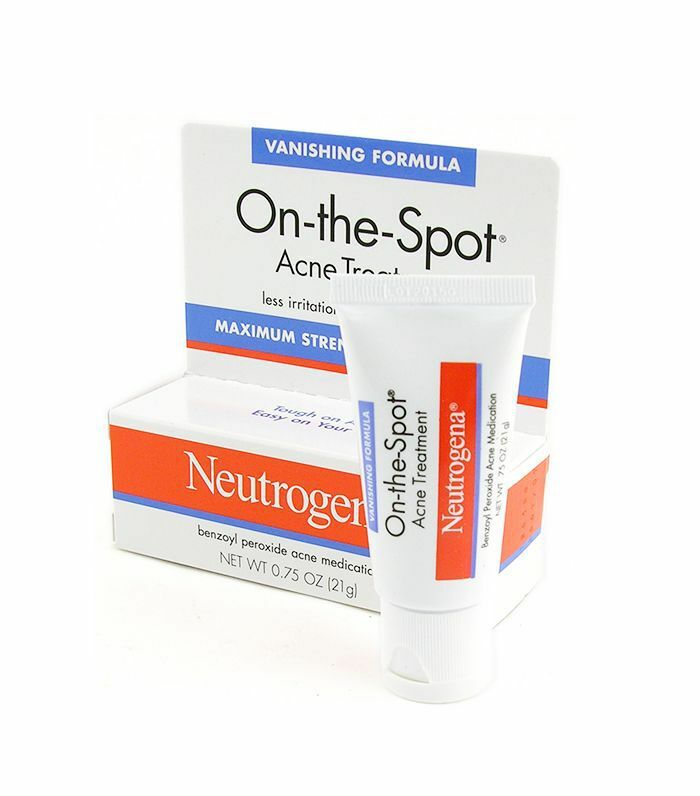 Although it has a lower percentage of benzoyl peroxide than many of its counterparts, Neutrogena promises that it provides the same level of effectiveness as a conventional 10% benzoyl peroxide formula without overdrying. 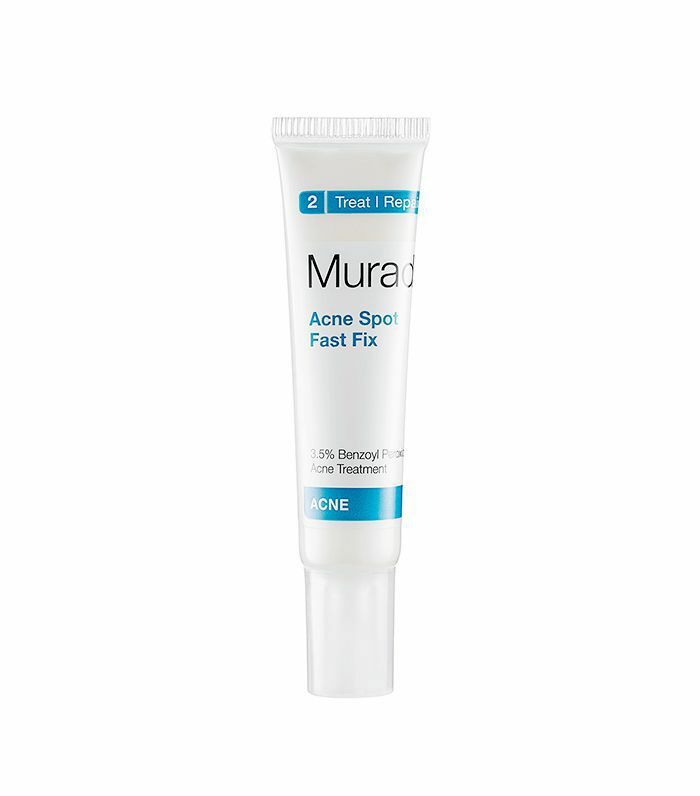 We're always in a rush to get rid of a blemish as quickly as possible, and thanks to this 2% salicylic acid treatment, we can send it packing in as little as four hours. Byrdie managing editor Lindsey Metrus reaches for this 5% benzoyl peroxide lotion when she needs to get rid of a major breakout in record time. It dries clear and doesn't cause that dreaded peeling or flaking. A powerful trio of camphor, zinc oxide, and sulfur dries out breakouts and kills acne bacteria so you can get back to business come sunrise. Employing hydrocolloid bandages as an acne remedy is popular in Korea, and the practice is swiftly making its way stateside. 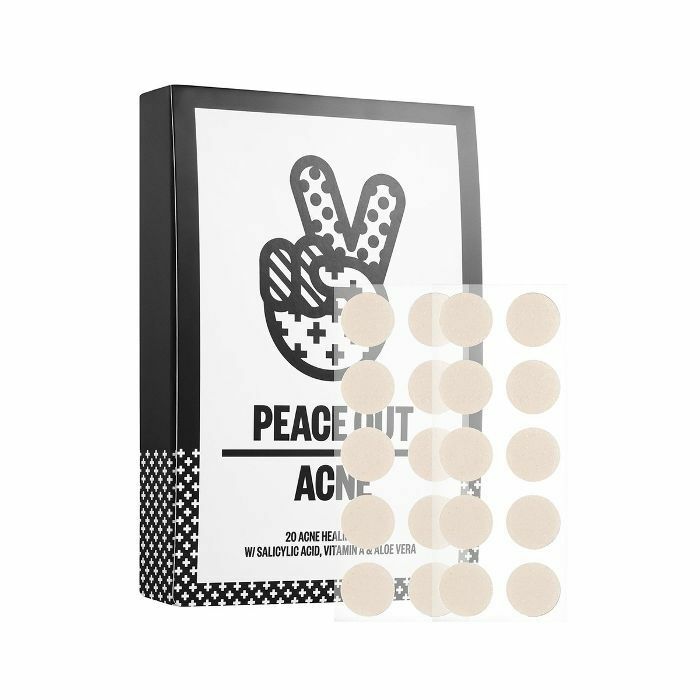 A 2006 study found that they reduce oiliness, redness, and pigment changes as acne resolves, which is just what these acne stickers aim to do. They're also infused with salicylic acid and vitamin A to clear out dead skin cells and penetrate the pore with acne-fighting actives. Averse to lotions and gels? 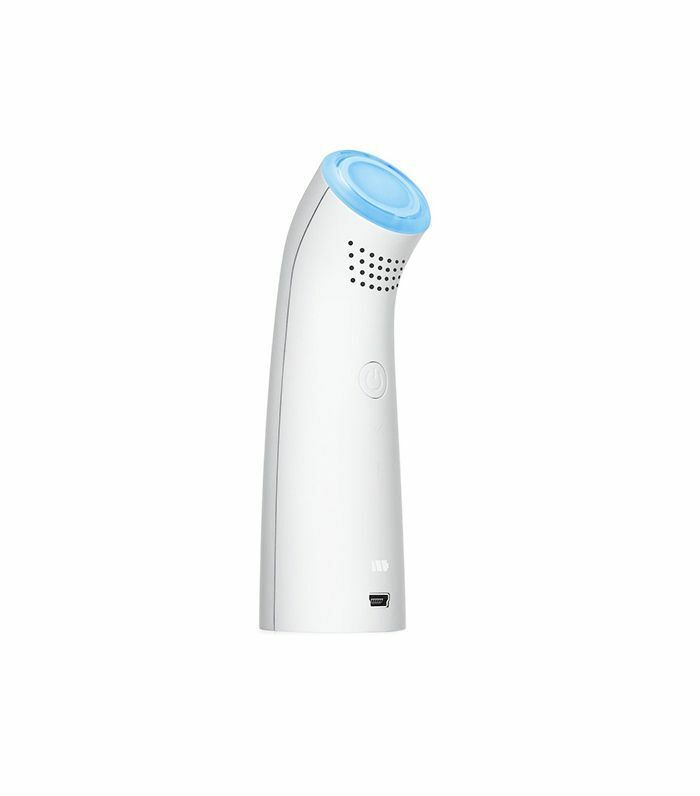 Try treating blemishes with this blue-light device. Glide it over clean skin for five minutes a day, and the antibacterial blue light will penetrate deep into your pores to kill pimple-causing bad guys. For a more holistic treatment, this Ayurvedic blend of tea tree, juniper, and clary sage flushes out acne while nourishing the skin. Next up, read about six natural remedies for acneic skin.